You’ve probably heard that popular fiction is plot driven while literary fiction is character driven (driven being the key word because if a narrative isn’t advancing then what story are you even telling?). This is true. There is sit on the edge of your seat plot driven fiction, and there is sink back into the pillows and slowly nod in agreement when Mrs.____ mentions how she hates lima beans because her husband loves them fiction. Both work. Who doesn’t want to know if the tsunami’s gonna reach NYC? Who can leave Mrs.____ at home alone with four cans of lima beans and not know if she’ll be lonely forever? Most writers are more comfortable with one or the other, but of course to some extent both are necessary. I could write a novel about a girl staring at a wall in her childhood bedroom, and I would enjoy writing it very much, but of course no one would read it. Being a more literary writer, if I’m writing a book about so-and-so and so-and-so, and come to a place where both so-and-so’s need to actually do something, that’s my que to rummage around for some chocolate in the kitchen. Physical plot scenes can be painful for me. I find them extremely difficult to write. In light of this, it’s very important for me, every once and a while, to put down Virginia Woolf and read some plot driven fiction, or at least well-written scenes within literary fiction. And conversely, if plot comes naturally to you, take up something character driven. I always recommend Saul Bellow’s “Seize the Day.” It’s a short novella, and the main character, Tommy, is brilliantly written. He’s complicated and fascinating. So how about we meet in the middle? Character and plot. We need to understand both because they’re what we have to work with. Your fiction will always be your own and reflect your personal slants, but as with grammar, know your tools well so you can utilize them well—so you can have fun breaking the rules; the tsunami is actually caused by the flip of a prehistoric sea monster, Mrs.____ falls down and breaks a leg and can’t get up because once again her husband didn’t come home, and all she has to eat until he does is lima beans. 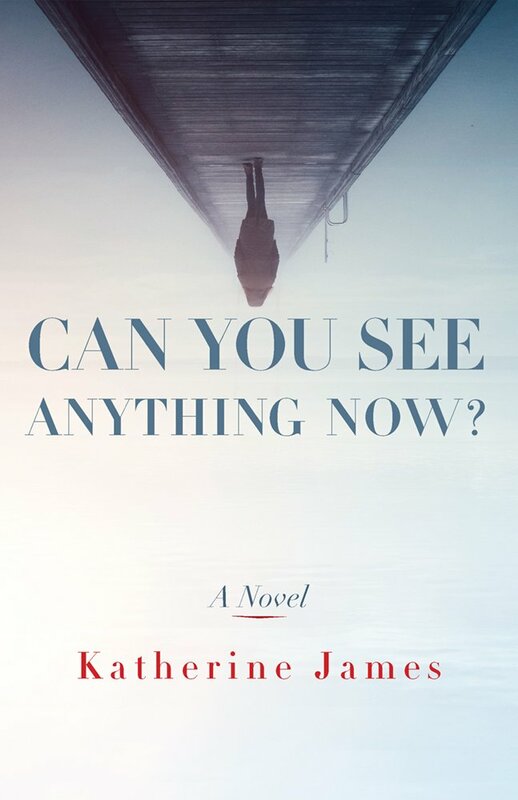 Katherine James holds an MFA from Columbia University, where she received the Felipe P. De Alba merit fellowship and taught undergraduate fiction. Her novel Can You See Anything Now? was a semi-finalist for the Doris Bakwin prize and won Christianity Today’s award for best fiction of 2018. She has studied at Bread Loaf Writer’s Conference and taught fiction at the Festival of Faith and Writing as well as other venues. Her work has appeared in many journals and anthologies and a recent short story was a finalist for a spring Narrative Prize. Her memoir about her son’s heroin overdose is forthcoming in 2019. Follow her blog here.